Huge congratulations to club chairman Maurice Fearn who has been chosen as the winner of the Lifetime Achievement Award at the 2018 West Suffolk Sports Awards. 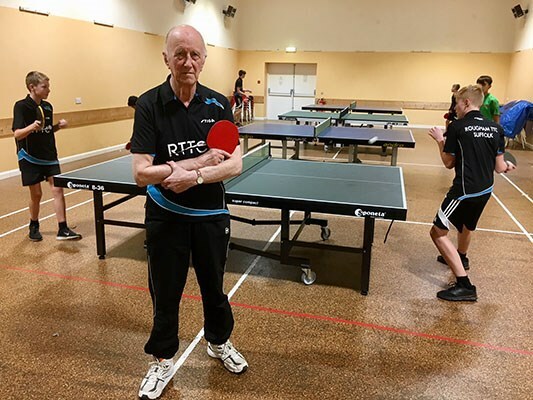 Table Tennis has been part of Maurice's life for over 70 years with Rougham TTC now entering it's 25th year. He was also a founder member of the Bury St Edmunds club and the local league in which both clubs compete. He said on receiving the award, "It is nice to be recognised in this way occasionally. Also it is good that our sport of Table Tennis gets a mention". Many congratulations Maurice on a very well deserved honour.